What began as an idea for a marathon in an idyllic location turned into a dream vacation. I picked what I knew would be a beautiful, remote destination — the Patagonia International Marathon in Chile’s Torres del Paine National Park. But what began as a challenge to myself ended up being one of the best holiday experiences ever for my wife and me, and our two good friends. 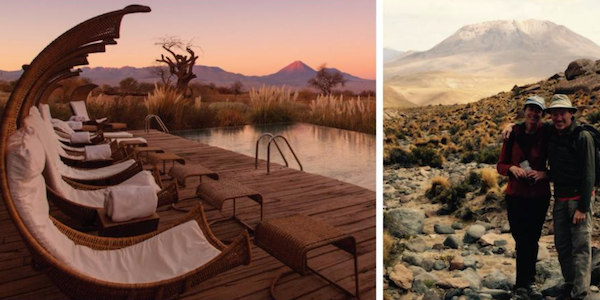 We stayed in two of the top boutique hotels in Chile: Tierra Patagonia and Tierra Atacama. Although Chile is quite a distance from Canada, the flights were relatively easy. And it’s only one hour ahead of EST, so there wasn’t much jet lag. 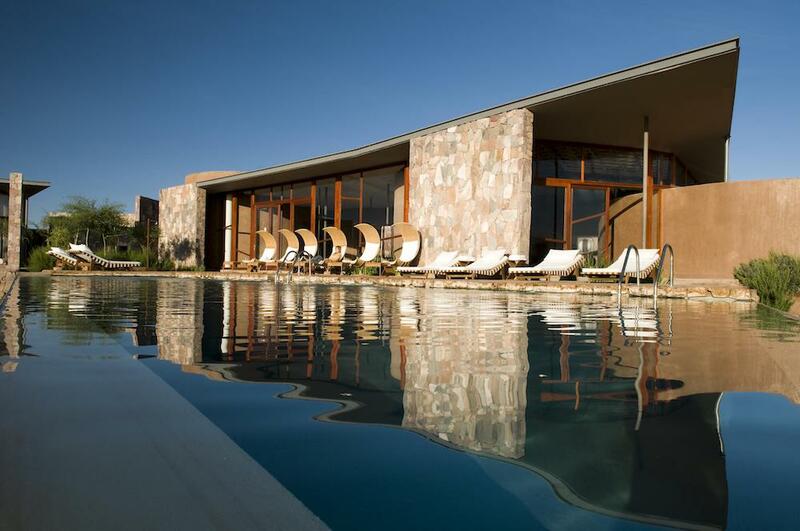 The Tierra Patagonia Hotel and Spa blends seamlessly into the landscape. 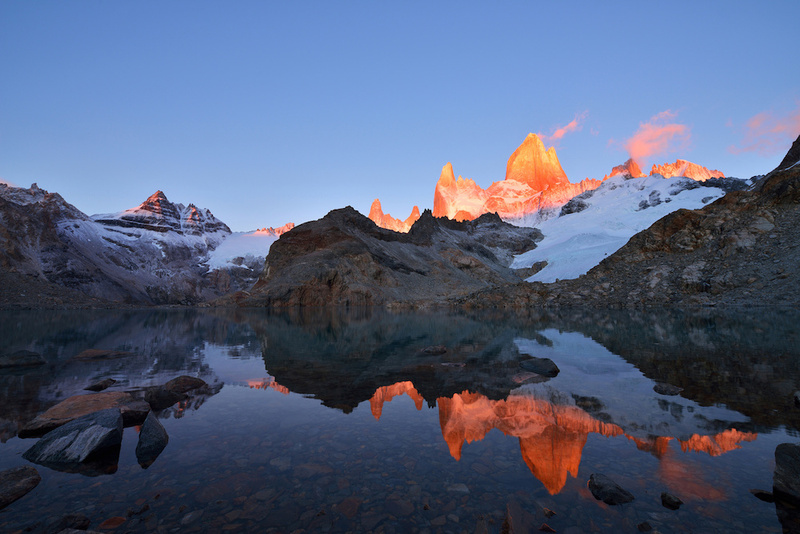 Overlooking a beautiful aquamarine lake, it offers sweeping views of the Torres del Paine Mountains from every window. We were enamored from the start. All the meals and drinks were included with accommodations and the food was superb, especially when considering how isolated we actually were. After finishing a grueling marathon with more hills than I care to remember, we set off on some wonderful hikes throughout the parks. The hotel provided free mountain guides who were knowledgeable about everything from the local fauna to the rock formations and wildlife. We saw soaring condors, Guanacos (wild llamas), foxes, and Nandus (Chilean ostriches), as well as beautiful spring flowers that bloomed throughout the mountains. After four days of exploring, we took a flight to the upper side of Chile and stayed at a sister lodge called Tierra Atacama in the Atacama Desert. It was a shock to go from the cold Patagonia spring to the driest place in South America, but the Tierra Atacama was an oasis complete with sweeping, amber-coloured views of the volcanic mountains. We went on fantastic excursions: Hiking up canyons to find soothing hot springs; traveling to salt flats filled with flamingos; and climbing a volcanic mountain that rises 4,800 meters above sea level. Although the wildlife was not as prolific as it was in Patagonia, Atacama’s colors and surprising experiences more than made up for that. The Tierra Atacama hotel offers the same package deal for meals (and we loved its legendary “Pico sour” cocktails). The spas in all the Tierra resorts are superb, offering every treatment imaginable. My deep tissue massage after the marathon was a lifesaver. There are four Tierra properties in total. The first, Ski Portillo, was opened by Robert Henry Purcell, an American who bought the property in 1954. And the latest of the four is Tierra Chiloe, built on an island in the lake district just beyond the wine country south of Santiago. What began just as an idea turned into a trip full of unforgettable surroundings and memories. And we’ll remember it for a long time.